The first project is the finishing touches on a silhouette paper cut design I made at a gallery workshop I attended about 2 years ago. The pretty paper heart design, created by Ncoco, and cut by me in the workshop has been one of those projects that just sat in a drawer in my studio. 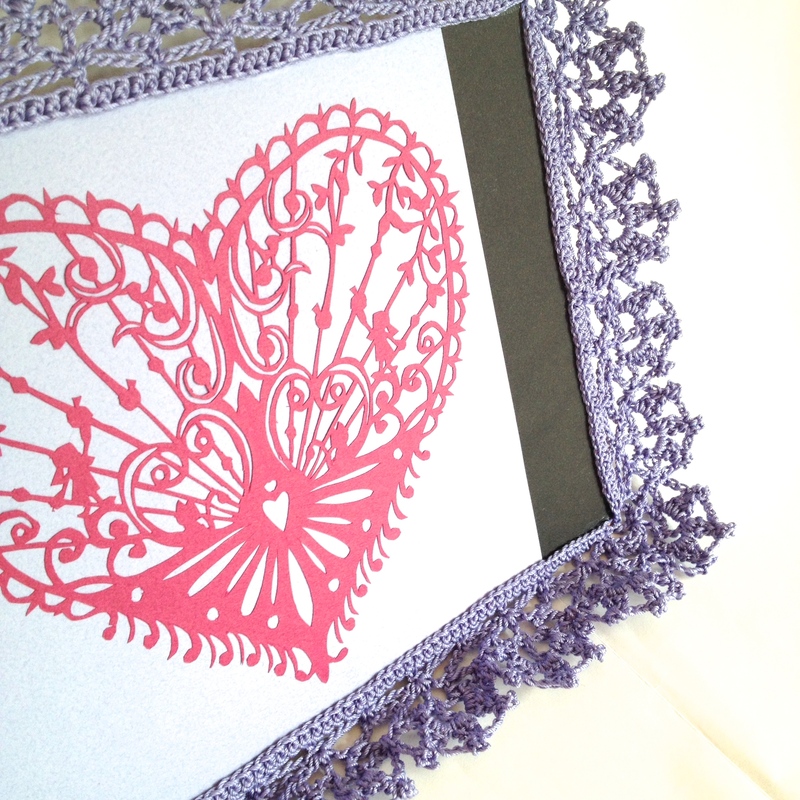 It sat as a finished project that really wasn’t quite finished and I was recently inspired to crochet a lace frame for it. The airy lace frame project didn’t take long during my train trips around Tokyo and the silhouette cut is now a true completed project hanging on the wall of my studio. 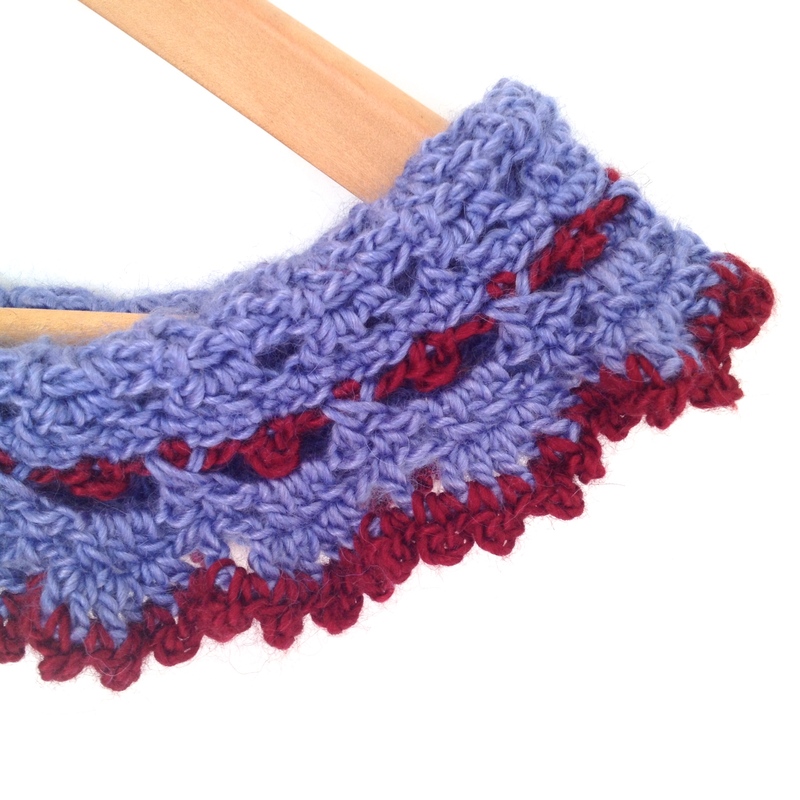 The second completed periwinkle project started out to be a pretty, feminine neckwarmer for a friend however the Victorian lace pattern combination I used is just way to feminine for her and I think she’d be insulted if I gave it to her now, LOL!! 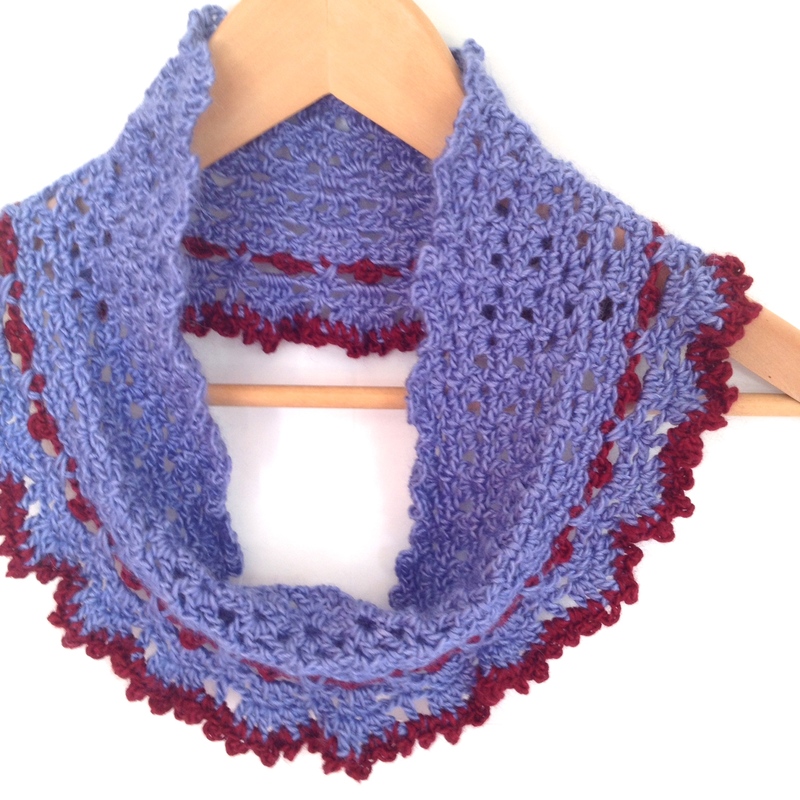 I still love the design, it’s just not for her, or for me, but I know the right person is out there to love it for the super yummy, soft 50% alpaca/50% silk design it is. Currently it’s posted in my shop on Etsy, StudioDeanna, waiting for just the right person to give it the love it deserves.